Travelodge was the first budget hotel brand to launch in the UK in 1985. It now operates over 35,000 rooms in city centres, next to major routes, seasides, airports and countryside locations, so there is always one near to where the guest wants to stay. Travelodge also has 11 hotels in Ireland and 6 in Spain. 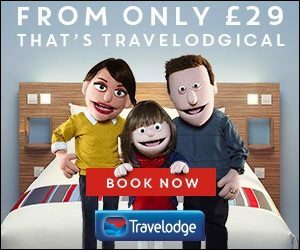 Millions of leisure and business travellers have grown to rely on Travelodge each year for a comfortable, hassle-free night’s accommodation. Prices start at just £19 a night per room (not per person). At Travelodge we have commenced a makeover programme to modernise all our hotels, this began spring 2013. An exciting part of our makeover is to bring you our new Travelodge Dreamer Bed – made exclusively for us by Sleepeezee – bringing you even more comfort at great value. Tagged hotel, hotels, Travel Lodge.